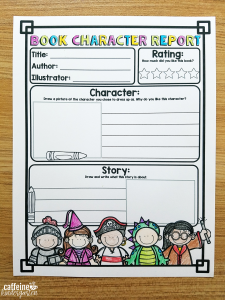 Does your class participate in a book character parade for Halloween? 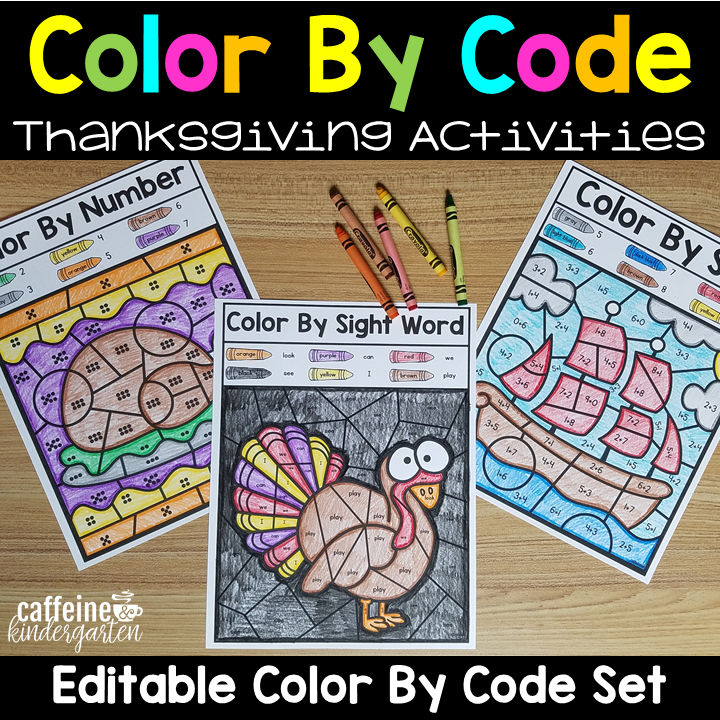 This has always been a fun and exciting activity in kindergarten. It brings the excitement of Halloween and ties it into academics by having them dress up as a character from a favorite book. 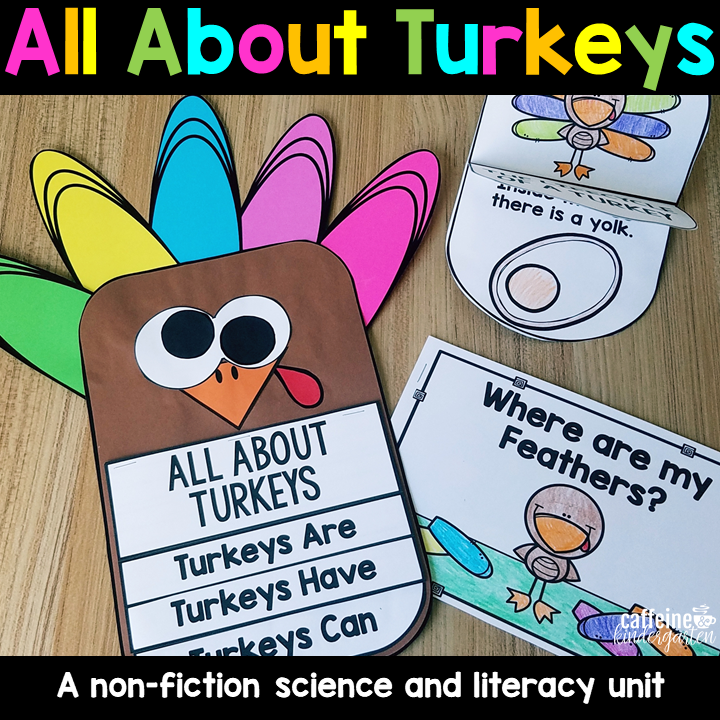 To make the most out of this activity, it is important that you communicate with parents the process of reading with their child and discussing the character that their child will be dressing up as. 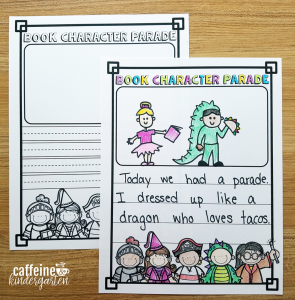 These steps will help you and your class make the most of your book character parade! Have the more fun AND make it more academic! Happy Halloween! Communicating this event with parents is so important. 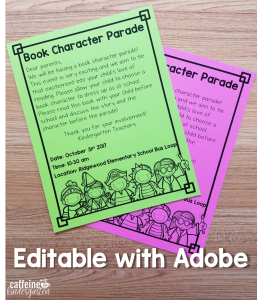 Use an invitation style letter to explain to parents what the book character parade is. Send this letter home early to give parents plenty of time to make a costume for the parade. This invitation is editable in adobe! The key to making this memorable and academic and NOT just a costume party is holding students accountable in a FUN way. I like to have the students do a quick report on their book and character. 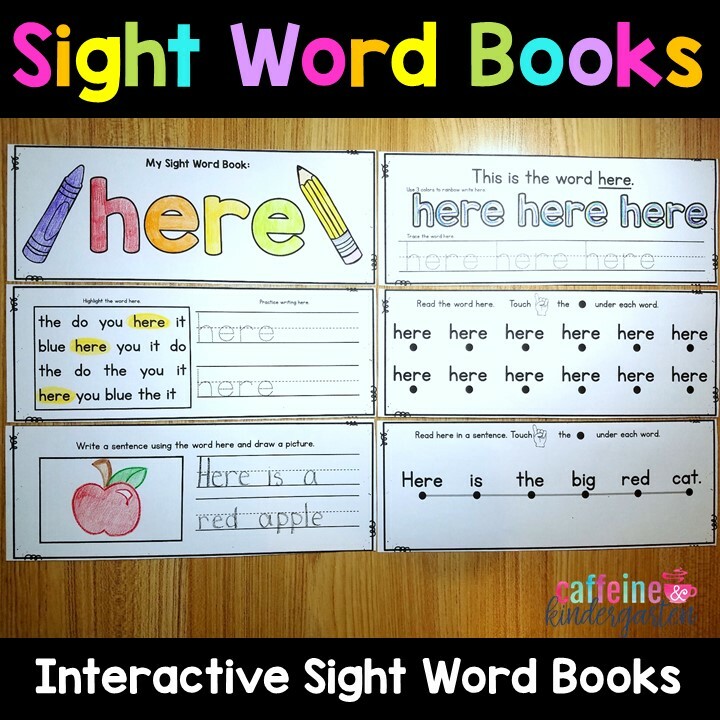 The goal of this report is to create “book talk” at home. Either the parent or the child could fill this out as long as it is done together. Adding a family project like this to your book character parade will make it so much more meaningful. Putting yourself in the place of a character provides great opportunities for higher order thinking! 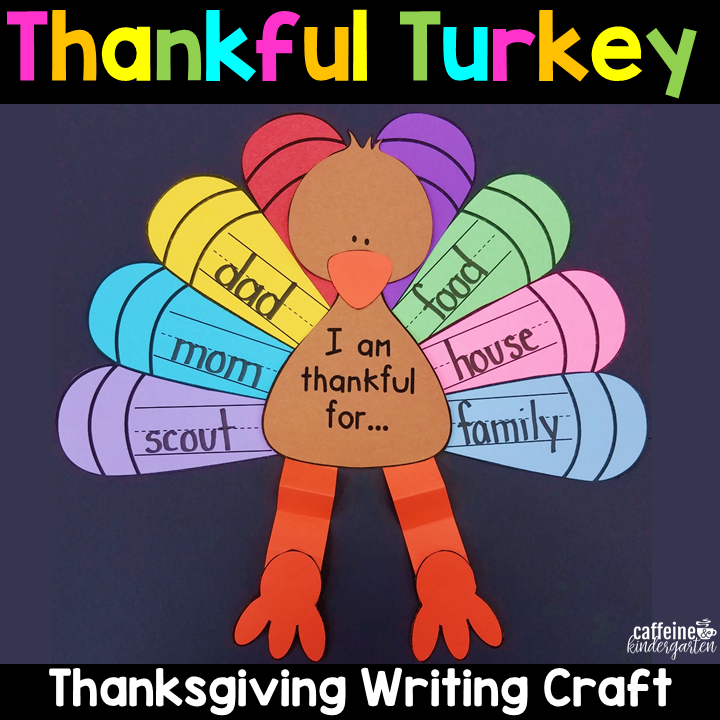 Follow up the book character parade with a writing activity! Not only is it so smart to have students immediately write about their experiences, it will tie the entire activity together. This always makes for a great “author’s chair” or “share chair” time! This can be a free write or use prompts! 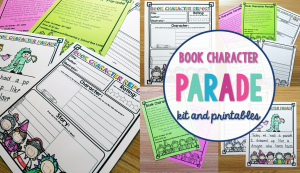 You can grab this BOOK CHARACTER PARADE kit FREE from Caffeine and Kindergarten only!